High tech Police Light with LED Light source.This new LED beacon is equipped with 56 bright LEDs with 30° beam angle. The LEDs show a life time of more than 50.000 hours and require no cooling. By DIP switches you may choose 6 operation modes and the 7 different speeds. Considering purchasing the American DJ LED Beacon Blue? Have questions? Ask people who've recently bought one. Do you own the American DJ LED Beacon Blue? Why not write a review based on your experience with it. Just like the red one these look great as part of a full system, really do add a great effect to some songs! 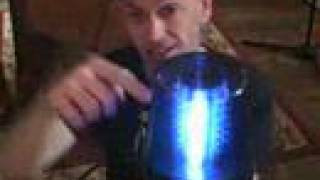 Seen a video for American DJ LED Beacon Blue online or have you own video? Check out American DJ LED Beacon Blue on DJkit.com!